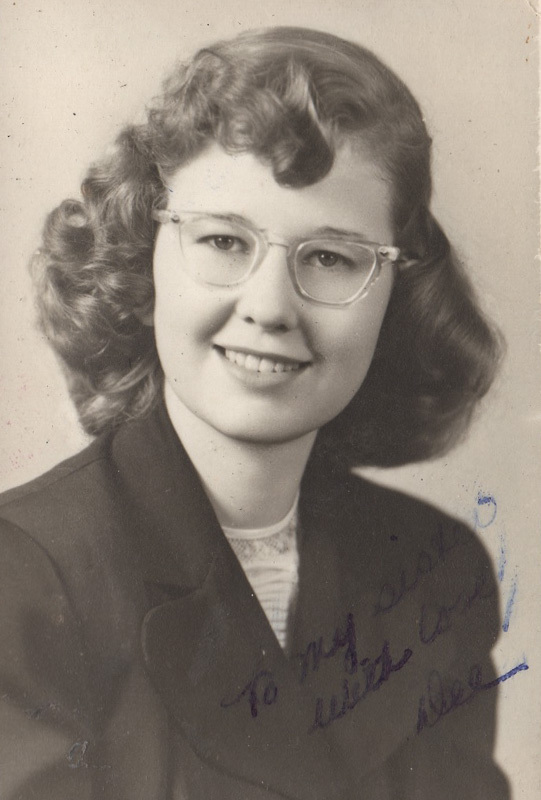 I found out today that Dolores (Joachim) Cantrell, my Aunt Dee, passed away last month, on Feb 17th. Aunt Dee was my mother’s sister, and the oldest daughter of Melvin and Gail (Patterson) Joachim. She has been married to Donald Cantrell since 1954, and they have two children, my cousins, David and Diane. I remember visiting the Cantrells often as a child; sometimes we would visit them, and other times they would visit us in Michigan. I went to see Aunt Dee and my mother in Las Vegas many years ago. It was the first time I had seen my aunt in over twenty years, so we had a great time catching up, and seeing the sights in southern Nevada. More recently, Aunt Dee visited us in Arizona several times. She showed up with our Aunt Betty a few years ago, and we had a wonderful time. Aunt Betty just passed away last month. Aunt Dee also came to help when my mother, who was living with us at the time, had a heart attack. That was over 15 years ago, and Mom is still with us; I’m sure having her sister there helped her pull through. It is sad to watch my extended family shrink. Of course, it isn’t really shrinking, since new members are always being added, but I’ll always miss the relatives I grew up knowing. I will always have fond memories of Aunt Dee.